It’s Halloween, which, of course, means that it’s time to preserve corpses. 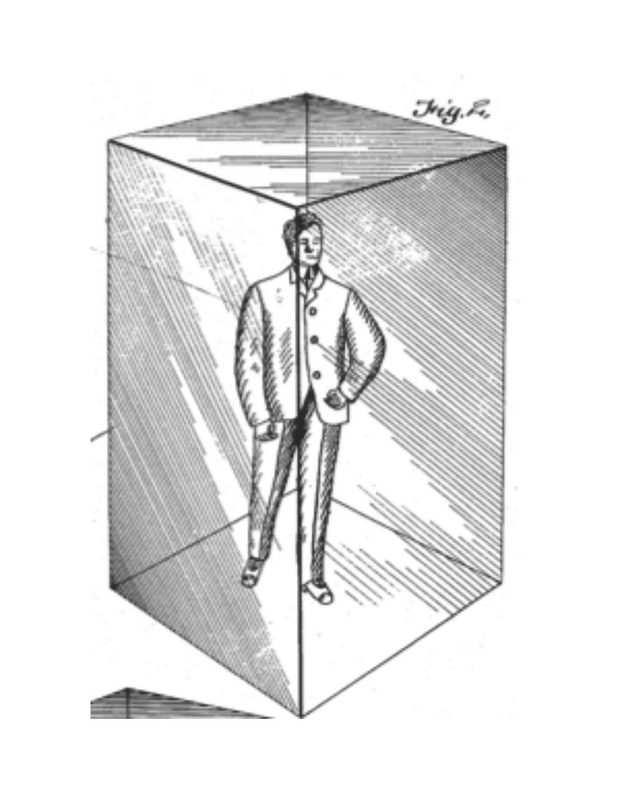 Consider Joseph Karwowski’s invention (U.S. patent 748,284 issued December 29, 1903*). Joe was a Russian national (‘…a subject of the Czar of Russia’) living in New York state. He was presumably impressed by the ability of waterglass (sodium silicate, or Na2SiO3) to preserve fresh hen’s eggs by sealing the pores of the eggs. Sodium silicate was and is a miracle material with myriad uses. It’s water soluble glass. In its pure form, waterglass becomes a transparent, glassy solid when you drive off the water. Joe’s idea? Cover a recently-deceased human corpse in a layer of waterglass. Heat the waterglass to drive off the water. 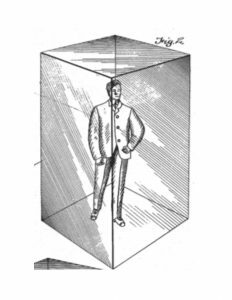 Enclose the waterglass-covered body in a mold and pour in molten transparent silica glass; that is, window glass. Voila! Your loved one is perfectly preserved, perfectly visible, and extremely heavy – about 18,000 pounds, by my calculations. But wait a minute. Waterglass is water-soluble and the human body is 60% water, right? Also the melting point of silica (window) glass is around 2,600°F, while the melting point of solid waterglass is less than 2000°F. Even if the silica glass did not physically melt through the waterglass, wouldn’t heat from the molten silica glass cook the body? And what about anaerobic organisms? Don’t sealed caskets explode? We’ll let your imagination fill in the details. It’s better that way. Happy Halloween from Lipton, Weinberger & Husick. *That’s twelve days after those other visionaries, the Wright brothers, made their first powered flight at Kittyhawk.